Berkshire Ninth Street offers a range of apartment home floor plans with studio, one, two and three bedrooms. Every floor plan includes sleek amenities along with access to community extras like an on-site Bark Park, a 4,000+ square foot high endurance fitness center, and a Harris Teeter right next door. 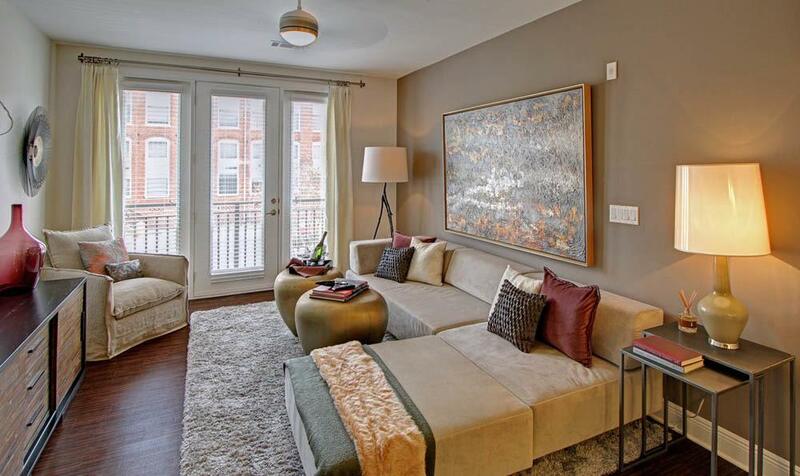 The extraordinary feel of Berkshire Ninth Street continues with outstanding community features. Lounge at our saltwater pool plaza or get in a good workout at our 4000+ square foot high endurance fitness zone which even boasts a rock climbing wall. Berkshire Ninth Street offers a variety of studio, one, two, and three bedroom apartment homes in the heart of the thriving Ninth Street District of Durham, NC. These spacious apartment homes deliver a cultured and comfortable living experience amidst an array of shopping and dining. Your new apartment home will feature USB-enabled wall outlets, Moen fixtures, granite countertops, custom wood cabinetry, wood inspired flooring, and designer satin nickel hardware, lighting and fixtures. Be one of the first to enjoy fashionable modern living in the heart of Durham, NC. Check out the variety of floor plan options and visit us today to reserve your perfect home.